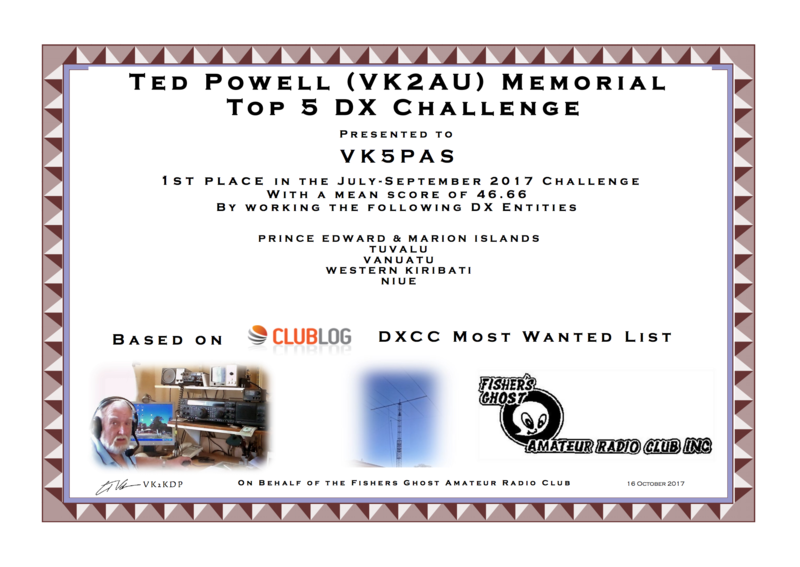 This contest was developed by the Fisher’s Ghost Amateur Radio Club in memory of Ted Powell, who became a silent key on 16 March 2014. Ted’s passion was working rare DX and collecting QSL cards. At the time of his passing, Ted had worked 301 entities and confirmed 300 by QSL cards. The objective of the “Most Wanted” category is to work the most wanted DXCC entity during an award period. The winner will be the station who works the most wanted DXCC entity based on its ranking in Clublog’s Most Wanted list current at the beginning of the award period. THANKYOU to the Fishers Ghost Amateur Radio Club.